Restaurant and IT staff alike can benefit from digital transformation. One group operates out of a kitchen and the other is surrounded by network servers; so how exactly are restaurant and IT staff alike? They're both frontline workers, a class of employees at the heart of production. They're also set to take on increased prominence in their respective organisations as digital transformation offers them a greater impact on day-to-day labour. The change is growing evident through innovations like the testo Saveris Restaurant automated quality management system. Over the next few years, a wide range of products will be released with the intention to help both kitchen staff and IT workers. Understanding where the challenges lie for executives hoping to empower their cybersecurity experts and network specialists can help restaurant owners recognise how to tackle the issues they may face too. Restaurant workers and IT staff are using technology on the front lines of their job. Uncertainty regarding national and local regulations. Effective staff can make a world of difference in a restaurant; they can improve the reputation of the location, and avoid non-compliance by strictly adhering to food codes. This type of performance isn't dissimilar to the type of disruption executives expect of IT staff. Restaurant personnel just need the tools to help them do their jobs better on a daily basis. The testo Saveris Restaurant automated quality management solutions ticks all the boxes when it comes to getting around the aforementioned obstacles. By digitising the guidebook specifically to meet in-house and governmental regulations, supervisors help staff stay consistent in their approaches to food safety and grow their skill set to avoid any potential breaches. 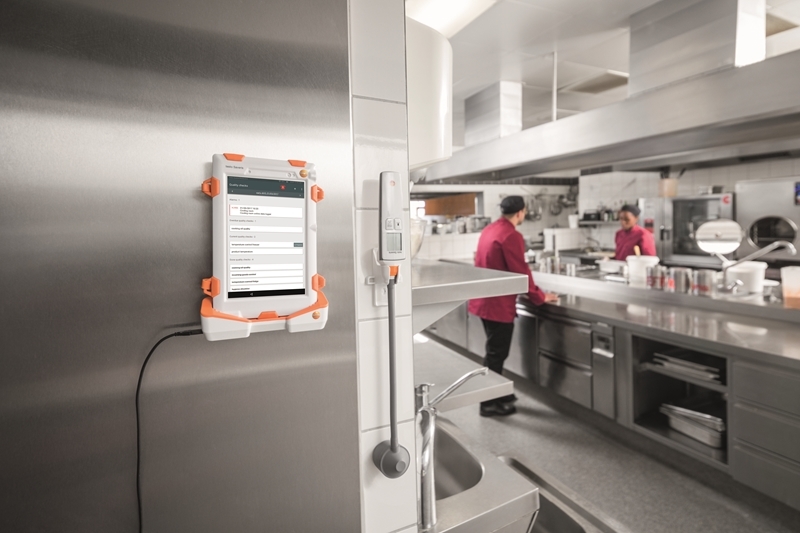 Testo Saveris Restaurant allows kitchens to go digital when it comes to food safety. 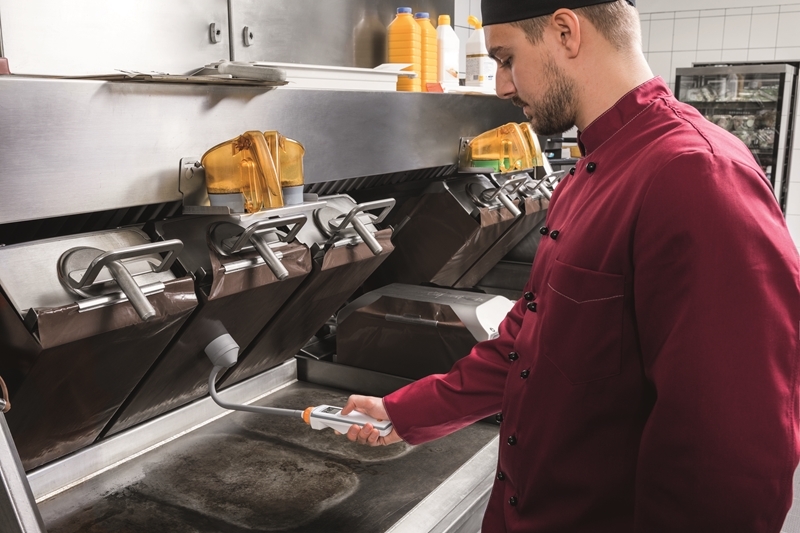 Enablement is the key moving forward: the testo Saveris Restaurant platform uses a digital control panel, in association with a variety of thermometers and multifunction instruments, to make employees' jobs easier. Staff can seamlessly check the temperature of frozen or cooked food and know in an instant if it meets guidelines. This puts all the power in their hands when it comes to food quality and reputation. The future is digital – even for the food and beverage industry. While restaurant staff won't have to deal with cyberattacks or data breaches, they do have a number of challenges they face on a daily basis. Give them a helping hand and contact a Testo representative today to learn more. Previous PostDo you know the negative effects of poor indoor air quality?